And who is He? We hear of different conceptions of God, but here we have come to a beautiful conception of God—Krishna, the son of Nanda Maharaja. This is found only in Vrndavana. “O knower of Brahman, you are always merged in the exclusive conscious world. No trace of any mundane objective reverence can be found in you, for you are always engaged in the subjective world of spirit. Never is your consciousness thrown towards this objective world of ours. And you say that Krishna is the Supreme Absolute Truth. I ask one question of you, my master: what duty did Nanda discharge, what sort of realisation did Nanda have that the Absolute Truth is so intimate with thim that He appears as Nanda’s son and craws about in his courtyard? He seems to be under Nanda’s clutches. What is this? This is a most wonderful thing. Is it possible? In his prayer, Raghupati Upadhyaya expresses a similar ego. 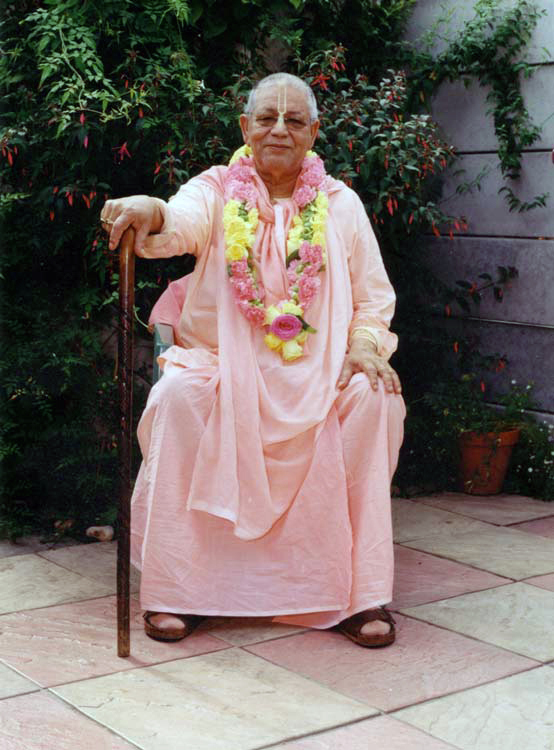 He says, “I don’t want to be entangled in the subtle discussion and analysis of the scriptures; I just want to surrender myself to Nanda and his party. 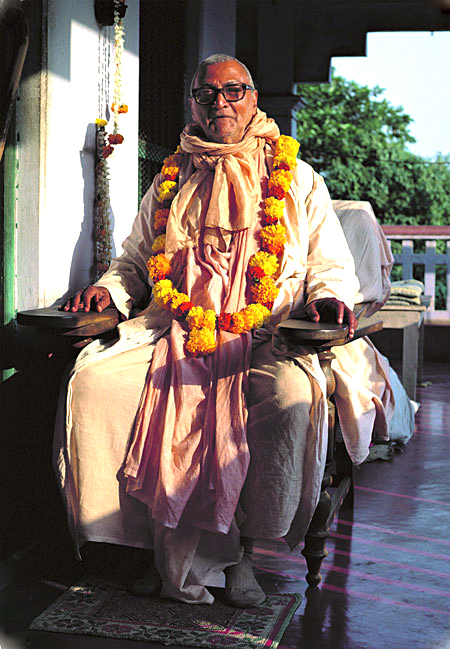 I want to enlist my name in the group where Nanda is the master guide.” By the exercise of energy (karma), we can attain a good destination; without faith in the achievements of karma, we may try for salvation by raising our consciousness (jnana). 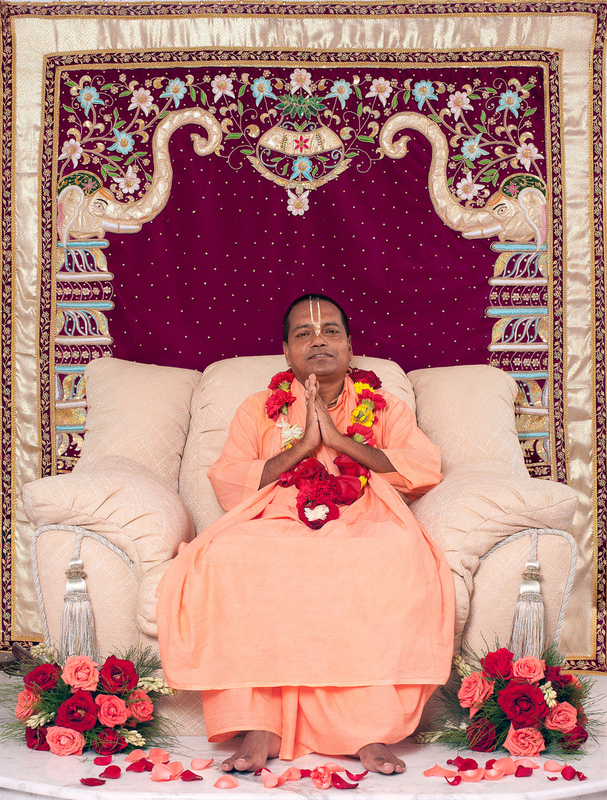 But if we inquire into the solution of life with the help of the experts of that higher spiritual realm like Nanda and his party, we can enter into the land of love and dedication. My faith, my common sense about religion, tells me that if I see that Supreme Absolute Truth who is so rare and find Him real, concrete, and intimate, appealing directly to my heart, then why should I engage myself in wild-goose chasing? I shall appeal directly to the object of my search. If someone tells me that a hawk has snatched my ear, should I chase the hawk without first touching my ear to see if it is still there? If I can have the Absolute Truth so intimately, why should I allow myself to run hither and thither? If I find that the Absolute Truth has kindly come with all His charm, and that His charm is not a secret and many personages are being attracted by Him, then should I run after the phantasmagoria of the the meditationists, the abstractionists and renunciationists? Never.